In most of the industries and research and developments, IoT is rapidly increasing technology because of its efficiency feature in the M2M communication. The industries and R&D tell that it is most cost-effective, efficient, optimization in communication, and till 2025 it will optimize every device. IoT is mainly the interconnection of embedded devices that can connect the physical world to virtual work with objects and things. It helps to access the data or information remotely at anytime, anywhere, etc. The IoT technology has a technical concept for communicating between M2M such as smart home, remote security control, remote devices monitoring, smart healthcare system, etc. There are various enabling technologies that help to communicate between the embedded devices through protocols such as RFID, addressing scheme, WSN, etc. Approximately, 4.3 billions of IP addresses (232) have been provided by IPv4. There is topical development of the Internet and its objects forced to find best solution for IPv4 extension. As a result, IPv6 is gaining lots of preference in research and it is expected that IPV6 will provide optimized performance by 2025. 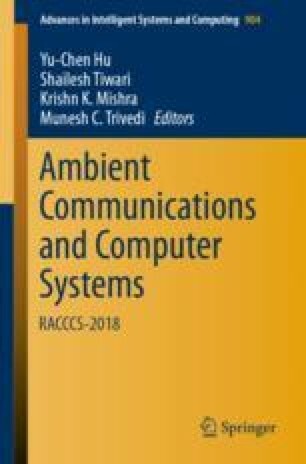 This paper proposes a current solution in the existing IP requirement with a new IP format which is compatible between IPV4 and IPV6. The proposed method is developed and analyzed using Contiki operating system platform with a Cooja simulator.